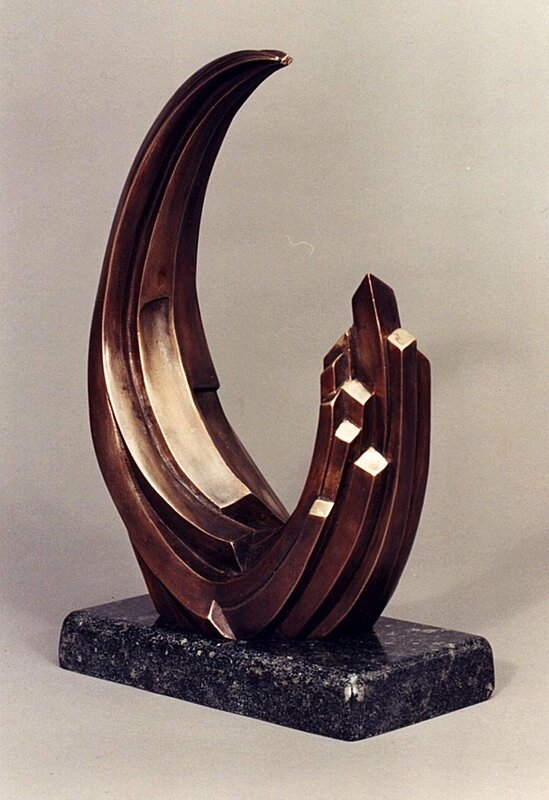 The Procter & Gamble Company commissioned me to create an abstract, bronze rendition of their emblem (a depiction of the moon & stars) to be the company's highest award. I used a cubist approach. The highly polished "stars" and one of the facets on the back of the "moon" stand out against the darker patina. The "stars" suggest upward movement. 12 x 9 x 4 inches.